This series of photos is unfortunate in so many ways. 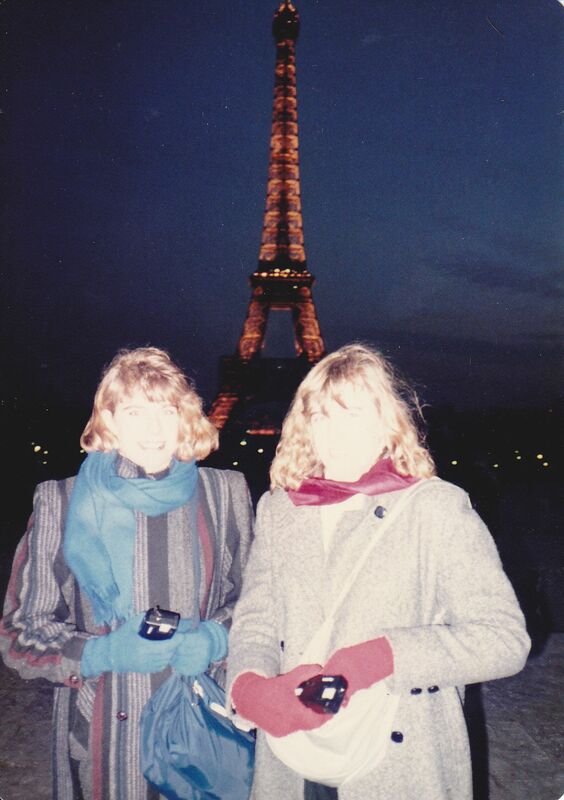 First there is the fact that my overexposed sister Suzanne and I, along with our bad 80’s perms, essentially block out and overshadow the Eiffel Tower. Then, we are wearing some pretty atrocious coats. Actually, I’m really the one who is wearing a rejected carpet remnant. Apparently, however, we were “fashion forward” because our attire didn’t hold us back from posing on a Parisian balcony. 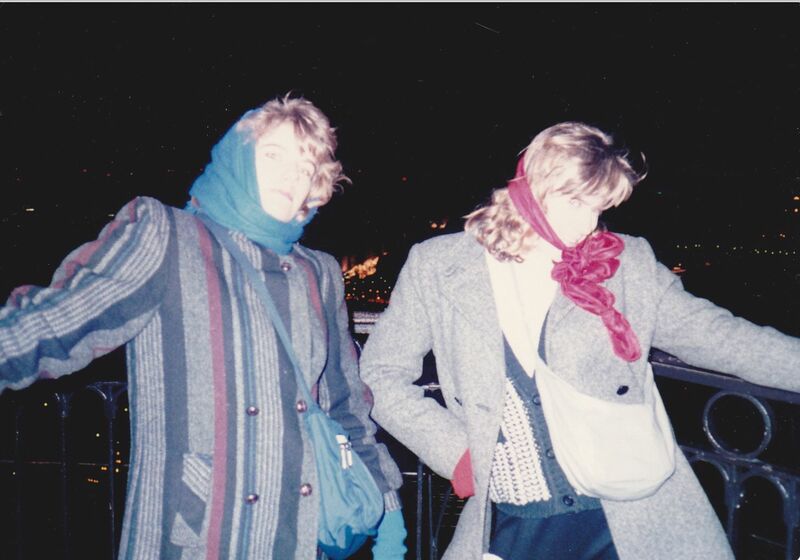 This entry was posted in Family Travel, France, Humor, Travel, Travel Humor, Uncategorized, Unfortunate Photos and tagged awkward family photos, awkward vacation photo, bad 80's fashion, Paris, the Eiffel Tower by stephglaser. Bookmark the permalink. Aw, don’t be so hard on yourself. It was the 80s! VERY true! 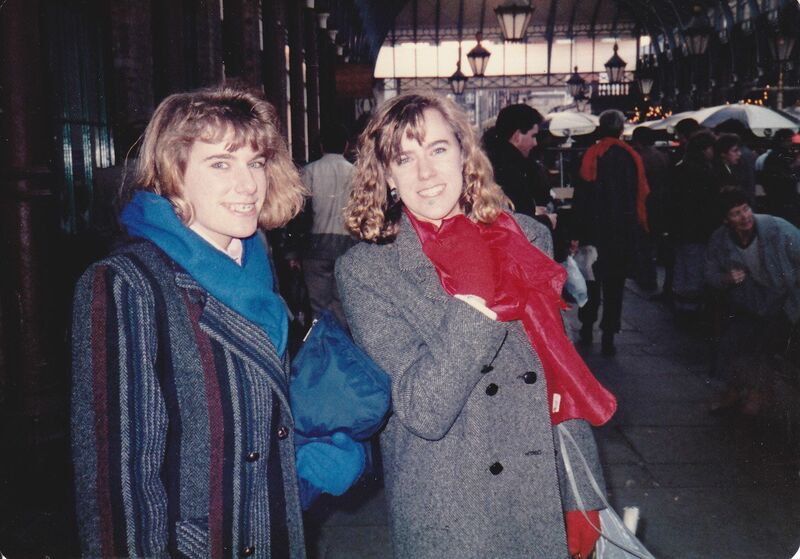 Yeah — and at least my bangs weren’t quite the fire hazard with all the hair spray as some of the people I knew back then. They are great old photos. Everybody did the awful perm thing. Yes, thanks, Debra, for reminding me. My year 12 class photo demonstrates this well with a massive wall of teased fringe! Cheers. Is there such a thing as a “good perm”?